Position your modem up to 25ft from your computer. 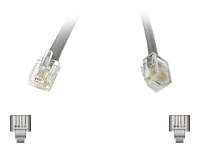 The 25 ft. RJ11 Telephone/Modem Cable gives you the chance to replace the short cables in your workspace with a single, long cable. 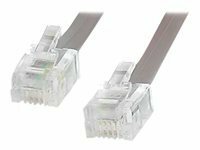 The RJ11 telephone cable/modem cable is durably constructed for long-lasting performance.